In 1971, a group of Pennsylvania taxpayers who objected to having their taxes used to fund parochial schools took their fight to preserve the separation of church and state all the way to the Supreme Court. The Pennsylvania legislature had passed a statute allowing school districts to reimburse parochial schools, which at the time were almost all Catholic-affiliated, for the salaries of teachers and textbooks used in “secular” classes. With representation from the ACLU of Pennsylvania provided pro bono by the law firm of Drinker Biddle, the taxpayers won. On June 28, 1971, a unanimous Supreme Court overturned the Pennsylvania statutes. Alton T. Lemon, a civil rights activist and the lead plaintiff in this case, passed away on May 4th in Jenkintown, Pennsylvania. He was 84 years old. The more lasting effect of the case, however, was the new test it created to determine whether government activities or programs violate the First Amendment Establishment Clause principle of the separation of church and state. To pass this test, legislation must have a secular legislative purpose, cannot have the primary effect of either advancing or inhibiting religion, and cannot result in “excessive government entanglement” with religion. This test, known in legal circles as the “Lemon Test,” has made Lemon v. Kurtzmanone of the most cited decisions ever, as it is now the basic framework for every First Amendment case involving the separation of church and state. For his participation in the case, Alton T. Lemon won the 2003 First Amendment Hero Award from the Freedom from Religion Foundation. He settled in Philadelphia after serving in the Army, getting a master’s degree in social work from the University of Pennsylvania. He was a lifelong member and supporter of the ACLU. He was also the first African-American president of the Ethical Society of Philadelphia and director of the Police Community Relations Division of the North City Congress. Sadly, we have lost Alton T. Lemon, but thankfully, his bravery helped solidify important freedoms protected by the First Amendment, and the legal principle that bears his name remains as vital and important today as in 1971. 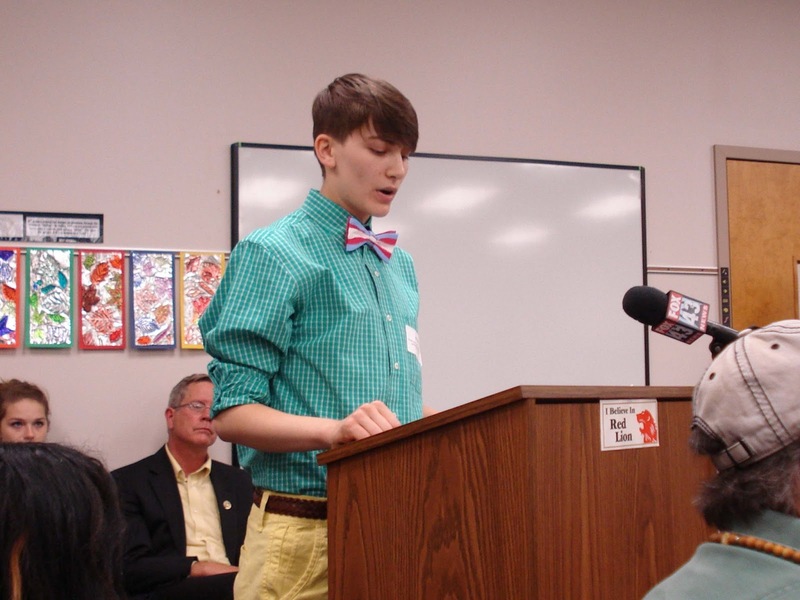 Issak Wolfe, a transgender student at Red Lion School District, graduates today. Graduation day is one of life’s big milestones and cause for celebration. Unfortunately, Issak’s big day will be marred by the fact that the school district has refused to respect his gender identity and will read Issak’s female birth name at graduation instead of the male name he has gone by consistently for two years. The school district is not required to read his legal name. It could have chosen to be kind, understanding, and accommodating to a teenager who has endured much unkindness already. Instead, they have refused this simple accommodation that would cost them nothing, but would mean the world to Issak and his family. In a June 5 letter to the ACLU, the school district stated that it was in the “best interests” of the school district and the entire graduating class to announce Issak by his legal, female name. They did not explain exactly how disrespecting Issak benefits the school or his classmates. School officials should be in the business of supporting students. They should model acceptance and compassion for others. Instead, Red Lion School District has displayed pettiness and arbitrariness in its treatment of Issak. Although the mean-spirited acts of school administrators haven’t always made life easy, Issak has worked tirelessly to make his school a safer space for his classmates and future students, urging respect for all students and an end to discrimination on the basis of gender identity and expression. Although Issak leaves the Red Lion Area School District today, he leaves behind an important legacy of tolerance. Hopefully, one day the district will be ready to embrace Issak’s message. Today’s Supreme Court decision that upheld Maryland’s preconviction DNA collection law was pretty much atrocious, as pointed out earlier by my colleague Ngani. But there’s no guarantee that Pennsylvania will be next. Here’s why, from the home office in Harrisburg, Pennsylvania. 5. Last year the state Senate passed a preconviction DNA bill. It was rejected by the state House. In October, the House passed an amendment by a freshman Democrat, Representative Brandon Neuman of Washington County, that gutted the bill, including the DNA collection provision with 132 votes in favor of the amendment. This bipartisan coalition included the Speaker of the House. 4. The public safety arguments fall flat. In 2011, Maryland collected 11,000 DNA samples from people charged but not yet convicted of a crime under its law. That led to nine additional convictions for unsolved crimes. Not 90. Not 900. Not 9,999. But nine. Plus, under the commonwealth’s current, postconviction DNA law, the Pennsylvania State Police (PSP) has a backlog of eight months to test DNA samples, a backlog that will only balloon if the legislature passes a preconviction collection bill. No one can argue with a straight face that preconviction DNA collection protects public safety. 3. It’s expensive. PSP has estimated that preconviction DNA collection would cost $13 million. 2. The right to privacy under the state constitution is robust. Pennsylvania courts have consistently ruled that Article I, Section VIII of the state constitution provides greater privacy protections in search-and-seizures than the Fourth Amendment of the federal constitution. 1. The ACLU of Pennsylvania is on it. And we’re awesome. 7. It’s official: The US Supreme Court has ruled that DNA collection can come before conviction and without a judge issuing a warrant. 6. Collection of DNA – our most intimate genetic material – was equated with fingerprinting. 5. It overturns last year’s ruling by Maryland’s highest court which said that mandatory DNA collection upon arrest is unconstitutional. 4. 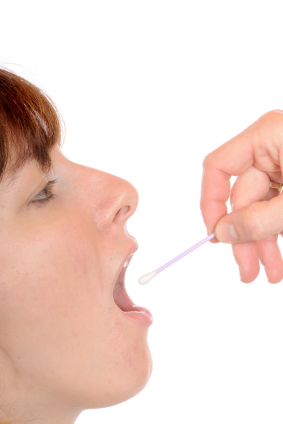 Maryland now joins 28 other states and DC allowing DNA collection after arrest. 1. PA could be next.